Join our VIP Pooches Program and receive exclusive benefits and experiences! Now Enrolling New Club Members! Have you wanted to do more for the medical emergency dogs and cats we rescue? When you see their sad, sorrowful eyes full of hope, you CAN save their lives. 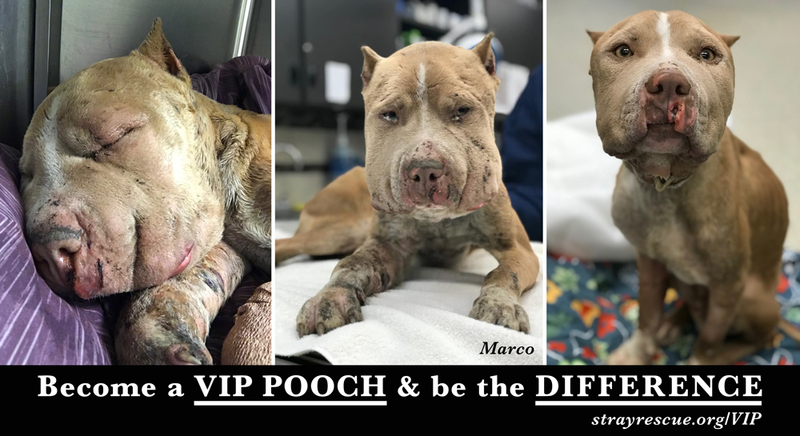 For an annual donation of $500 or more, you can become a VIP Pooch and feel good knowing that you’re making a significant difference in the lives of homeless and abused animals. When you become a VIP Pooch, you’re not only showing our animals how much you care, but you’re also ensuring Stray Rescue has the means necessary to keep our shelter doors open and our rescue jeeps on the street saving lives every day. You give us the opportunity to rescue those that no one else will take. Your annual membership will make an impact by providing: food, vaccinations, spay/neuter surgeries, emergency medical treatment and surgery, enrichment and training to shelter dogs. You will directly help us achieve our mission to rescue these special cats and dogs, restore them to health and find loving forever homes for them! As a VIP Pooch, you can fulfill a shelter animal’s singular desire to be loved. 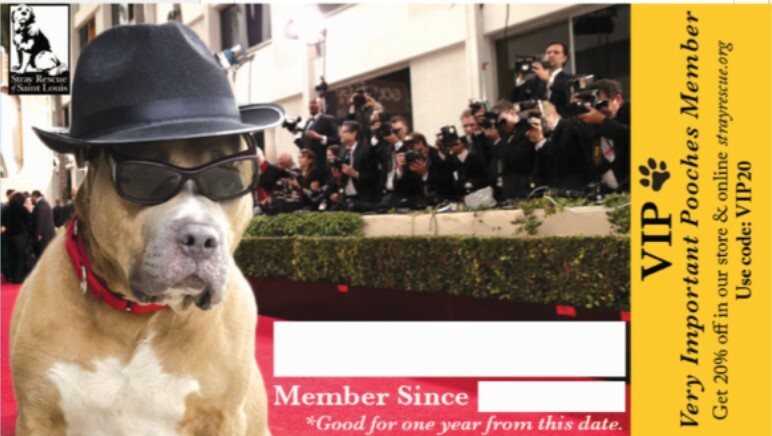 As a VIP Pooch, we’ll roll out the red carpet for you! You’ll gain exclusive access to two private VIP events a year to meet our special dogs, enjoy drinks and appetizers with our amazing staff, and take a tour of the shelter! 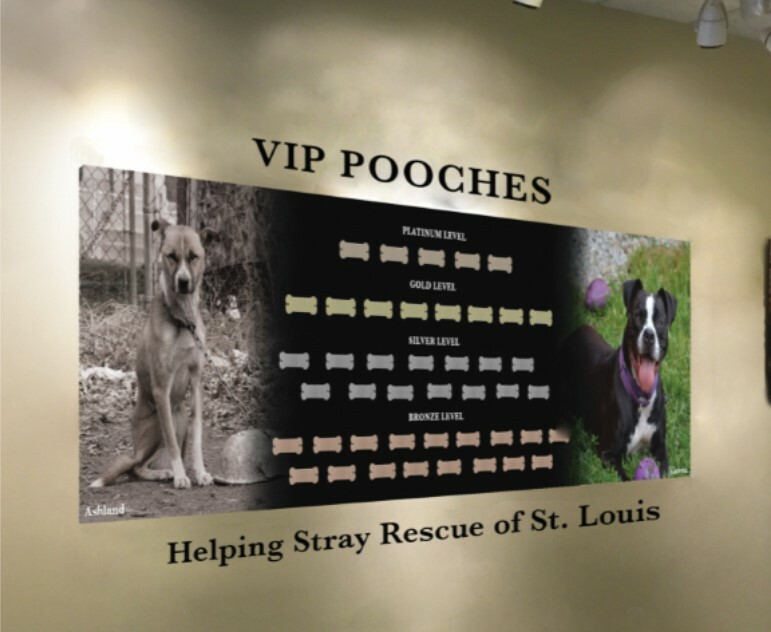 You’ll also receive 20% off merchandise in our online store or shelter gift shop, AND your name will be engraved on a paw print on our VIP wall proudly displayed in our lobby. Don’t delay! Join the VIP Pooches Program today and help us save another life!